Home/PetCare/DNA Tests for Dogs and Cats: Are They Worth The Cost? It’s a hot topic in the world of pet ownership: the value — or lack thereof — in having your pet’s DNA tested. DNA tests are readily available for dogs, along with an option for cats, and the popularity of these tests has surged amongst pet owners in the last two years. However, these tests are costly, DNA test kit retailing between $15 – $40 and Lab fees for the test is between $120 – $200. Is there any value to DNA tests for pets, or is it purely a vanity project and waste of money? What is DNA Testing for Dogs and Cats? DNA or genetic testing is a process by which a pet’s genetic profile is identified via a sample of the pet’s cells; oral swabs, skin swabs, or blood samples are popular and quick forms of obtaining this material. The genetic sample is then sent to a laboratory for analysis. Genetic samples can be collected by a veterinarian or at home by an owner who purchases a DNA kit. With the rise in popularity of pet DNA tests, more companies are offering genetic testing collection kits. Owners need only perform the DNA swab at home and return the sample to the laboratory in the provided mailer. Within a few weeks, the owner will receive the test results with a full explanation of the report. What Are The Benefits of DNA Tests for Pets? Testing for breed identification allows an owner to know what dog breeds make up his puppy’s ancestry. Full genetic attribute profiles can be given to any breeds, purebred or otherwise. This test evaluates the pet for certain genetic markers and numerous medical conditions. Individual genetic tests are used if a pet is suspected of having a particular medical issue. The primary benefits of DNA testing for dogs and cats is the ability to test for inheritable diseases. Early diagnosis of your dog or cat’s condition means a more knowledgeable owner who can keep an eye out for symptoms before they occur. For more serious conditions, a DNA test can lead to preventative techniques and medicines being used even before any manifestation of the disease becomes apparent in the pet. This knowledge could extend a pet’s life for years, and make it a more comfortable and enjoyable life at that. Nearly 40% of purebred dogs develop genetic defects that will impact their life in some way. Cats are no exception; even more common breeds, such as the domestic shorthair, are prone to genetic diseases. Regardless of species, anyone breeding domestic pets should have the parents’ DNA tested to be sure that the offspring will be as healthy as possible. Some breeds carry too many genetic defects which can become costly and painful for these pets as they age. DNA tests can also be helpful in identifying current or future health concerns in dogs and cats who are bred by backyard breeders or in puppy mills. Some unscrupulous breeders will breed “designer dogs or cats,” crosses of two popular breeds, but which results in a pet who has twice the chance of developing serious genetic illnesses and disease as related to each separate parent’s breed. Of course, many owners are generally curious about their dog or cat’s breed. DNA tests can assist owners of mixed breed pets as genetic information can shed some light on the pet’s behavioral tendencies, training aptitude, and lifestyle habits. For example, a mixed breed dog with Border Collie in its background is a dog who will likely need plenty of exercise and mental stimulation; a dog who is part Beagle can be more challenging to train and may bark frequently. Having this genetic knowledge gives pet owners some insight into why their pet acts and behaves in certain ways, and it also allows them to take steps to train and correct the issues of concern. Where Can You Get DNA Tests for Dogs and Cats? 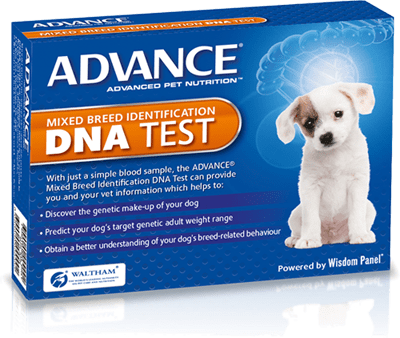 DNA test kits for dogs and cats are readily available for purchase online, at local pet stores and markets, and through veterinary clinics. There are a wide variety of tests available for canines ranging from basic DNA analysis to more extended results that include the identification of potential genetic health disorders. Cat DNA tests have just begun to populate the pet market. Initially, dog DNA kits dominated the market as dogs are easier to get mouth swabs from. Cat DNA tests have evolved where pieces of hair are used, a much easier process for both the cat owners and the cats. Interestingly, cat DNA is more similar to human DNA than that of dogs, so it is likely that more feline DNA tests will emerge on the market soon as cats continue to develop as applicable models for studying human diseases. DNA Tests: Should You Test Your Pet? If you are interested in learning more about your dog or cat’s genetics and predisposition to potential diseases and disorders, then a DNA test may be a worthwhile investment. It is critical that pet owners understand that DNA test results are not a guarantee and that any results should be discussed with your veterinarian before you make any changes to your pet’s lifestyle, food, or living accommodations. What Are the Drawbacks of DNA Tests for Pets? One of the primary drawbacks of DNA tests for dogs and cats is a misunderstanding on the part of the pet owner. Some owners purchase DNA kits, find out the results, and panic that their pet could be stricken with an incurable genetic disease. Sadly, there have been cases where owners decided to euthanize their pet without talking to a veterinarian about the test results. Making critical medical decisions on your pet’s behalf based on one DNA test is not advised; always speak to your veterinarian about any concerns you may have about test results. Another concern with DNA testing is its lack of accuracy. No test is foolproof, and some tests are more refined and accurate than others. Scientists are still learning about the ins and outs of genetics, and while what can be determined is helpful, it should not be the basis for significant decisions. There are also no established standards for DNA tests for pets; thus results may vary widely depending on the particular company and their ways of devising test results. Although tests may indicate problematic genetic markers, they cannot prove that a dog or cat has a specific condition or is guaranteed to develop an illness. For example, a goldendoodle’s DNA test may show a predisposition to eye diseases, such as cataracts or glaucoma; however, that particular genetic defect may be rendered moot by such conditions as environment, veterinary care, and diet.